Making chocolate crepes is quite easy. All you need is a basic crepe recipe and add chocolate flavoring. 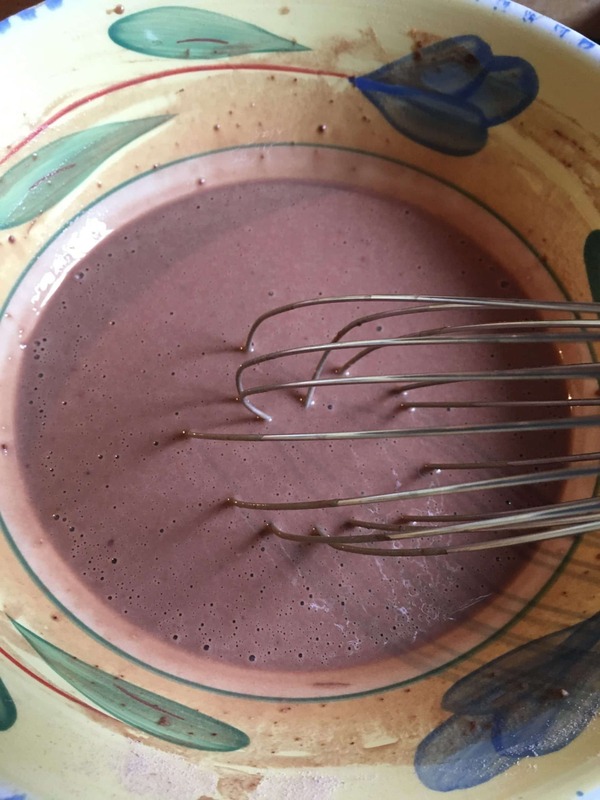 In this recipe I flavored the crepes with cocoa powder. I wanted to try some tropical flavor on the filling. I thought mango will add a tropical flavor combined with strawberries and kiwi. The creamy mascarpone (which is the Italian version of cream cheese) filling is so good I can slurp it all day! You can use other fruits that goes well with chocolate. It’s perfect for breakfast, dessert, or brunch. To make the chocolate crepes, I start with making the cream filling. this is the best part of the process because the cream filling is the surprise inside the crepe. Once you mix the mascarpone cheese, vanilla and sugar together, it becomes an irresistible bowl of goodness. After you taste this, you will not want to stop eating it! Refrigerate the cream filling while you do the rest of the steps. Next, I make the crepes by mixing all the dry ingredients with milk and eggs. The key for a beautiful crepe is spraying your pan with nonstick spray, swirling, and keeping an eye on it closely. This is the part where you can not leave the stove because crepes cook fast and they can burn fast too. Putting a layer of wax paper or foil on every crepe as they cook ensures that they don’t stick together, they keep warm and not dry out. Then I slice the fruit in bite size pieces. After this, it’s time to assemble the crepes. This recipe makes 4-5 crepes, so divide the cream filling into four portions. Each crepe will have cream filling in the bottom and on top of the fruit layer. You can fold the crepes or roll it after filling. If you are thinking what to make for dessert, this chocolate crepes are one of the best and easy to make. You family and guests will enjoy it. 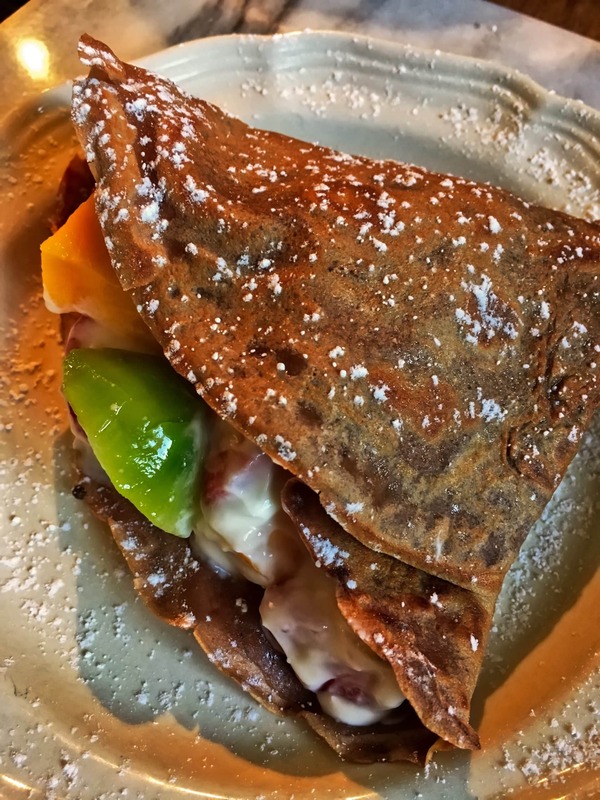 Delicious chocolate crepes filled with strawberries, mango, kiwi, and creamy mascarpone. 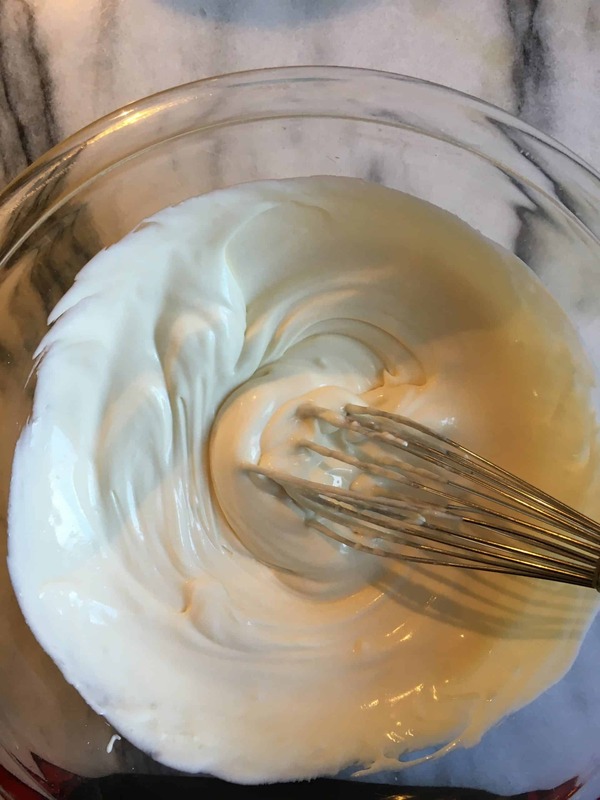 Make the filling: In a bowl mix together mascarpone, yogurt and 3 Tbsp. sugar until smooth. Set aside. 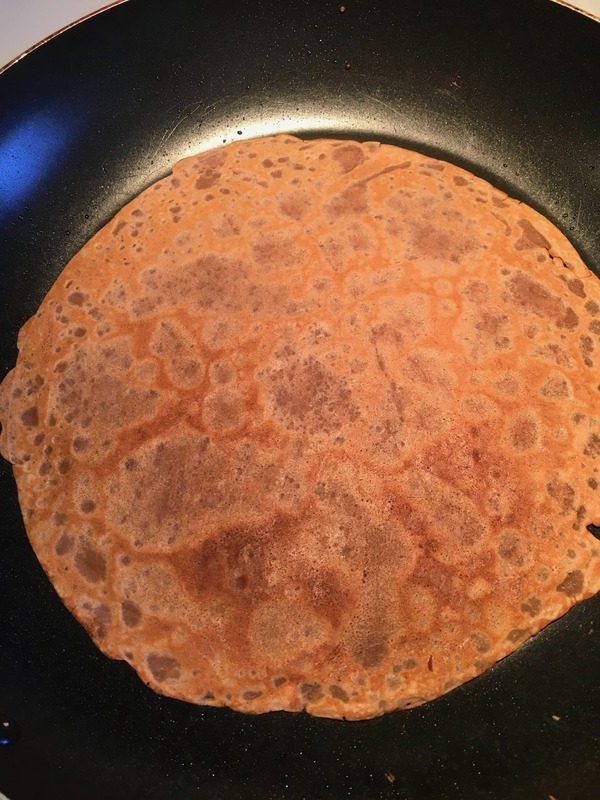 Make the crepe: In a bowl mix flour, 1/2 Tbsp sugar, salt and cocoa powder. Add eggs, milk, and oil. Whisk together until there are no lumps. Heat a nonstick pan to medium/high. Spray pan lightly with non-stick cooking spray. Pour 1/4 cup of batter into the pan swirling it around until it covers the bottom of pan. Let it cook for 2 minutes. Flip it and cook another 1 minute. Use a spatula to lift crepe out of pan and transfer to a flat dish. 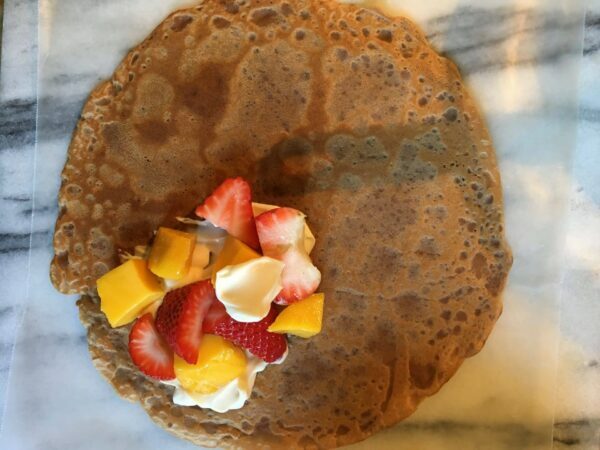 Cover crepe with wax paper. Cook the rest of the crepes. Cover each crepe with a layer of wax paper. Keep in the oven to keep warm. To assemble crepes: Divide the filling into 4 portions. Smear about 1 Tbsp. of mascarpone mixture on the bottom of crepe. Add fruit and top fruit with more mascarpone. Fold the crepe and sprinkle it with powdered sugar. Serve immediately.